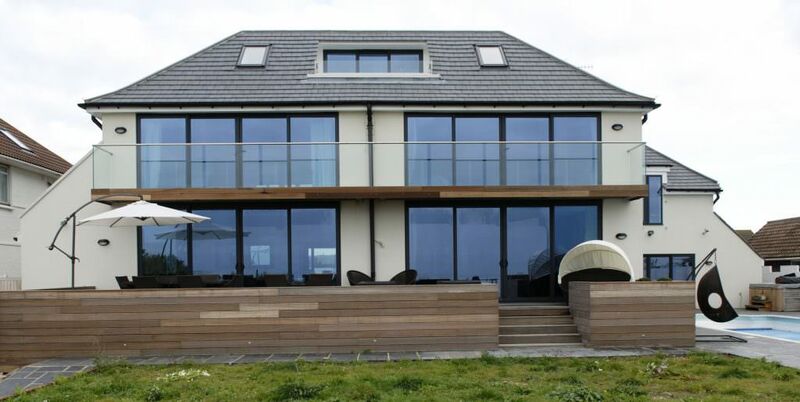 Aluminium windows and doors are the modern innovation that could totally transform your UK home. 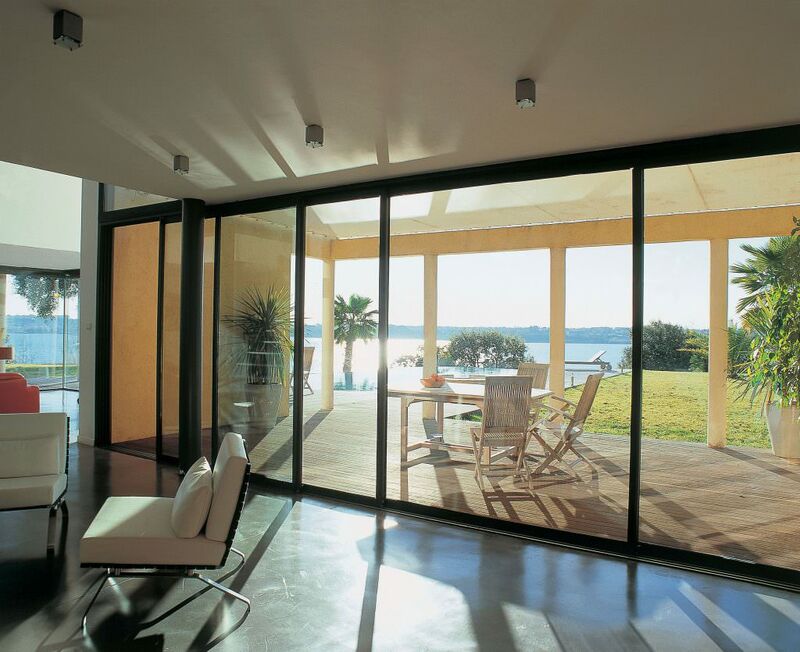 Here at Sternfenster, we love the sleek style of aluminium and the natural strength it offers. We are so pleased to be working with the Smart Architectural Aluminium too, as it features the very best in double glazing technology. These beautiful aluminium windows and doors will benefit your home in so many ways, and it’s easy to see why this double glazing collection is fast becoming one of the UK’s most popular home improvements options. Our collection of aluminium windows and doors is fantastic, giving you a choice and suitable products for any style of property. We have many years of experience in manufacturing aluminium double glazing, and our aluminium windows and doors are finished to the very highest standards, so you can count on quality. Our Smarts range of aluminium windows and doors come in a number of options that make them ideal for both contemporary design and period properties. Our aluminium windows are available in the Ecofutural, Alitherm 600, Alitherm 800 and the Alitherm Heritage 47 profile varieties, ensuring that whatever type of property you have, we can complement it with a suitable window design. Our aluminium doors come in so many options, including residential doors, French doors, patio doors and the luxury of bi-fold doors. You can match any style with our collection of aluminium windows and doors, ideal for blending in with traditional features and modern aesthetics. 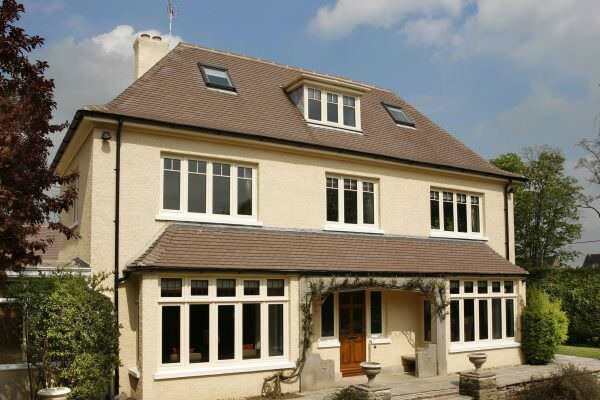 Aluminium windows are a superb choice for any home. Incredibly strong, they benefit from ultra-slim profiles, which enhance the aesthetics and give you better views. Our Ecofutural profile offers a tilt and turn window that is incredibly practical as well as superbly stylish. With these windows, you benefit from double glazing which is easy to access for cleaning. It is also amazing for safety too, doubling up as an emergency exit as well as having the facility to be locked in the tilt position for safe ventilation. The Alitherm 600 and 800 collections can be tailored in so many ways. With an ovolo finish, creating a stylish appearance, you can choose from crimped/mechanical corners, chamfered or square profile designs, depending on your tastes. These beautiful windows have been inspired by the stunning tradition of timber windows, giving you that classical elegance that many properties benefit from. Our Alitherm Heritage 47 design has been specifically created for replacement windows where the original installation was constructed from steel. These stunning windows are perfect for refurbishments and renovations. These Evolution windows are perfect for old or listed buildings where sympathetic aesthetics and planning constraints are of the utmost importance. Our aluminium doors come in a variety of styles to suit any area of any home, making them perfect for all of your home improvements. Our residential doors come in a superb range of panel designs, enabling you to find the exact look you want for your property entrance. They are multifunctional and can even be fitted with an escape bar for an emergency exit, should you need them to be. With eye-catching decorative glazing and a beautiful finish, these doors are perfect for home and commercial applications. 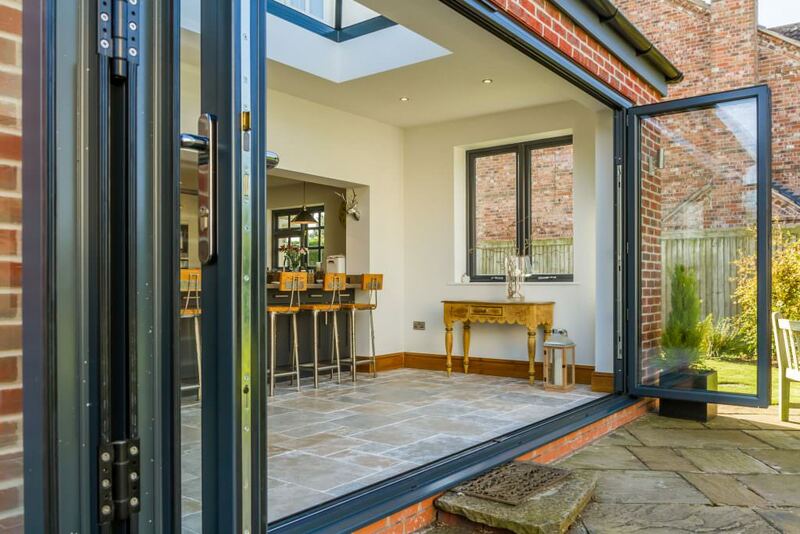 French doors are also completely flexible, offering elegance and charm, they are also superbly practical, enabling you to gain easy access to the outdoors. Our French doors are ideal for homes with gardens, patios and balconies as well as commercial properties, where a versatile entrance is required. For classical sliding doors, our aluminium patio doors have all the style you like combined with the very latest features. These easy to operate double glazed doors give you impressive views and will flood your home with natural light. The very latest innovation in double glazing is the exquisite bi-fold door, and our aluminium versions are hard wearing and long lasting. They will open up your home to the outdoors, creating a vast living space that you can enjoy in many ways. All of our aluminium doors can be adapted with ultra low thresholds and ramps for complete accessibility. This makes them perfect for properties, whether commercial or residential, where wheelchair access is vital. When your double glazing is dated, particularly if it is old steel windows and doors, the energy efficiency of your home could be pretty poor. This means that heat is escaping into the atmosphere, costing you money and damaging the environment. Our entire range of aluminium windows and doors is created with the incredibly impressive polyamide thermal break technology. This works to ensure heat loss and cold transfer are minimised. With new aluminium windows and doors, your home could be so much warmer, enabling you to use far less heating, and as such, reducing the energy costs. This cutting edge double glazing has impressively low U values, in some cases as low as 1.0 W/m2K. This far surpasses Building Regulations requirements, ensuring your home is ahead of the game. Of course, with such a great thermal performance, you will be lowering your carbon footprint too, and with all new aluminium windows and doors, you could even benefit from an enhanced EPC rating. Ideal for if you ever plan to sell your home, as better EPC ratings make properties more appealing to potential buyers. Protecting your home is a vital consideration when looking at any replacement double glazing. Aluminium windows and doors have a head start when compared to uPVC too! Double glazing really needs to be strong and rigid, and the natural qualities of aluminium makes our aluminium windows and doors super tough and almost unbreakable. This is supported by precision engineered security details, such as multipoint locking systems and reinforced hinges. All in all, aluminium windows and doors offer superior security for your home, and can withstand even the most intense physical attacks. You can have complete confidence, wherever you are in the UK, that your new aluminium windows and doors will keep your home and family safe and secure. Aluminium windows and doors excel in so many ways, but where they are truly incredible, is in the beautiful customisation options available to you for your home. Every detail is taken into consideration. 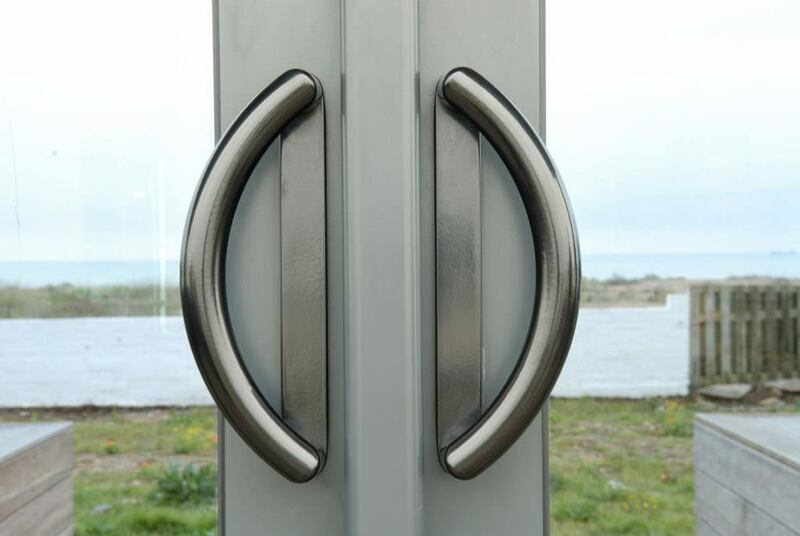 There are a huge variety of hardware options available, from sleek modern designs, to traditional monkey tail handles for windows. You can choose every aspect of your aluminium windows and doors to meet your needs. When it comes to the colour finish of these products, nothing has the same extensive choice that you benefit from with aluminium. There are a standard range of KL colours, perfect for a quick turnaround on your new double glazing. The KL range offers a limited collection of traditional shades that blend in with brickwork and allow your aluminium windows and doors to blend seamlessly into your home. We also provide an impressive variety of RAL colours, which can completely transform the look of your home and ensure your aluminium windows and doors reflect your tastes. RAL colours come in every shade you can think of, from bright, to subtle, to pastels. Your home can look completely unique and have a bespoke finish with these stunning options. Added to this, our aluminium windows and doors can come in a dual colour option, so you can choose an outer colour that complements the exterior of your property and an inner frame that blends in with your interior décor. Aluminium windows and doors truly do offer the most exceptional, and unrivalled, personalised design. Modern homeowners live busy lives, and spending all their spare time maintaining their double glazing can be really off putting. We understand this, and so our aluminium windows and doors are finished to the highest standards, offering a virtually maintenance free option for your home improvements. Not only this, but as well as there being no costly and time-consuming upkeep, these windows and doors will last for many, many years. Our aluminium windows and doors are robust and durable. It’s completely weatherproof and will protect your home against the elements. Your new aluminium windows and doors will never warp, rot or split and the stunning finish will never blister, peel or fade. These doors offer long-term performance, and when you choose a Sternfenster approved installer, you will also benefit from a 10-year manufacturer’s guarantee, giving you peace of mind. As double glazing manufacturers, we take pride in our work, and as such, we want our aluminium windows and doors to be installed to the highest standards. That’s why we work with selected double glazing installers, who we have approved, ensuring that they understand our commitment to quality and customer service. When you opt for one of our approved tradesmen, wherever you are in the UK, you will be able to enjoy outstanding, state of the art aluminium windows and doors. Find a Sternfenster approved double glazing installer local to you with our simple online postcode checker . Enter your details, and our system will provide you with information on nearby double glazing installers that stock and install Sternfenster products.